This article is about the U.S. state of South Dakota. For other uses, see South Dakota (disambiguation). Area Ranked 17th in the U.S.
Population Ranked 46th in the U.S.
Ranked 46th in the U.S.
i /ˌsaʊθ dəˈkoʊtə/) is a state located in the Midwestern region of the United States. It is named after the Lakota and Dakota Sioux American Indian tribes. Once a part of Dakota Territory, South Dakota became a state on November 2, 1889. The state has an area of 77,116 square miles (199,730 km2) and an estimated population of just over 800,000. Pierre is the state capital and Sioux Falls, with a population of nearly 160,000, is South Dakota's largest city. South Dakota is bordered by the states of North Dakota, Minnesota, Iowa, Nebraska, Wyoming, and Montana. The state is bisected by the Missouri River, dividing South Dakota into two geographically and socially distinct halves, known to residents as "East River" and "West River". Eastern South Dakota is home to most of the state's population, and fertile soil in this area is used to grow a variety of crops. West of the Missouri, ranching is the predominant agricultural activity and the economy is more dependent on tourism and defense spending. The Black Hills, a group of low pine-covered mountains, is located in the southwest part of the state. The Black Hills are of great religious importance to local American Indians and the location of Mount Rushmore, a major tourist destination. Other attractions in the southwest include Badlands and Wind Cave national parks, Custer State Park, the Crazy Horse Memorial, and historic Deadwood. South Dakota experiences a temperate continental climate, with four distinct seasons and precipitation ranging from moderate in the east to semi-arid in the west. The ecology of the state features species typical of a North American grassland biome. Humans have inhabited the area for several millennia, with the Sioux becoming dominant by the early 19th century. In the late 19th century, white settlement intensified after a gold rush in the Black Hills and the construction of railroads in the east. This settlement triggered a number of Indian Wars, ending with the Wounded Knee Massacre in 1890. Key events in the 20th century included the Dust Bowl, increased federal spending during the 1940s and 50s, and continuing changes in agriculture. While several Democratic senators have represented South Dakota for multiple terms at the federal level, the state government is largely dominated by the Republican Party, whose nominees have carried South Dakota in each of the most recent eleven presidential elections. Historically dominated by an agricultural economy and a rural lifestyle, South Dakota has recently sought to diversify its economy to attract and retain residents. However, it is still largely rural and has the fifth-lowest population density among U.S. states. South Dakota's history and rural character still strongly influence the culture of the state. South Dakota is situated in the north-central United States, and is considered to be a part of the Midwest by the U.S. Census Bureau; it is also part of the Great Plains region. The culture, economy, and geography of western South Dakota has more in common with the West than the Midwest. South Dakota has a total land area of 77,121 sq. miles (199,905 km2), making the state the 17th largest in the Union. Harney Peak, with an elevation of 7,242 ft (2,207 m), is the state's highest point, while the shoreline of Big Stone Lake is the lowest, with an elevation of 966 ft (294 m). South Dakota is bordered to the north by North Dakota; to the south by Nebraska; to the east by Iowa and Minnesota; and to the west by Wyoming and Montana. The geographical center of the U.S. is 17 miles (27 km) west of Castle Rock in Butte County. The North American continental pole of inaccessibility is located between Allen and Kyle, 1,024 mi (1,650 km) from the nearest coastline. The Missouri River is the largest and longest river in the state. Other major South Dakota rivers include the Cheyenne, James, Big Sioux, and White Rivers. Eastern South Dakota has many natural lakes, mostly created by periods of glaciation. Additionally, dams on the Missouri River create four large reservoirs: Lake Oahe, Lake Sharpe, Lake Francis Case, and Lewis and Clark Lake. Much of western South Dakota is covered by grasslands and features buttes such as Thunder Butte, shown above. South Dakota can generally be divided into three regions: eastern South Dakota, western South Dakota, and the Black Hills. The Missouri River serves as a boundary in terms of geographic, social and political differences between eastern and western South Dakota, and the geography of the Black Hills differs from its surroundings to such an extent that it can be considered separate from the rest of western South Dakota. South Dakotans also at times combine the Black Hills with the rest of western South Dakota, and refer to the two resulting regions, divided by the Missouri, as West River and East River. Eastern South Dakota generally features higher precipitation and lower topography than the western part of the state. Smaller geographic regions of this area include the Coteau des Prairies, the Dissected Till Plains, and the James River Valley. The Coteau des Prairies is a plateau bordered on the east by the Minnesota River Valley and on the west by the James River Basin. Further to the west, the James River Basin is mostly low, flat, highly eroded land, following the flow of the James River through South Dakota from north to south. The Dissected Till Plains, an area of rolling hills and fertile soil that covers much of Iowa and Nebraska, also extends into the southeastern corner of South Dakota. Layers deposited during the Pleistocene epoch, starting around two million years ago, cover most of eastern South Dakota. These are the youngest rock and sediment layers in the state, and are the product of several successive periods of glaciation which deposited a large amount of rocks and soil, known as till, over the area. The Black Hills, a low mountain range, is located in southwestern South Dakota. The Great Plains cover most of the western two-thirds of South Dakota. West of the Missouri River the landscape becomes more arid and rugged, consisting of rolling hills, plains, ravines, and steep flat-topped hills called buttes. In the south, east of the Black Hills, lie the South Dakota Badlands. Erosion from the Black Hills, marine skeletons which fell to the bottom of a large shallow sea that once covered the area and volcanic material all contribute to the geology of this area. The Black Hills are in the southwestern part of South Dakota and extend into Wyoming. This range of low mountains covers 6,000 sq. mi (15,500 km²) with peaks that rise from 2,000 to 4,000 feet (600 to 1,200 m) above their bases. The Black Hills are the location of Harney Peak (7,242 ft or 2,207 m above sea level), the highest point in South Dakota and also the highest point in the United States east of the Rocky Mountains. Two billion-year-old Precambrian formations, the oldest rocks in the state, form the central core of the Black Hills. Formations from the Paleozoic Era form the outer ring of the Black Hills; these were created between roughly 540 and 250 million years ago. This area features rocks such as limestone which were deposited here when the area formed the shoreline of an ancient inland sea. Much of South Dakota, not including the Black Hills, is dominated by a temperate grasslands biome. Although grasses and crops cover most of this region, deciduous trees such as cottonwoods, elms, and willows are common near rivers and in shelter belts. Mammals in this area include bison, deer, pronghorn, coyotes, and prairie dogs. The state bird, the ring-necked pheasant, has adapted particularly well to the area after being introduced from China, and growing populations of bald eagles are spread throughout the state, especially near the Missouri River. Rivers and lakes of the grasslands support populations of walleye, carp, pike, and bass, along with other species. The Missouri River also contains the pre-historic paddlefish. 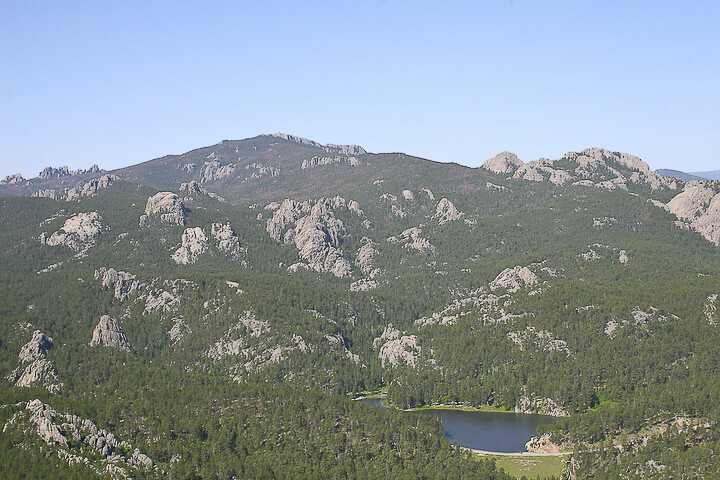 Because of higher elevation and precipitation, the ecology of the Black Hills differs significantly from that of the plains. The mountains are thickly blanketed by various types of pines, including ponderosa and lodgepole pines, as well as spruces. Black Hills mammals include deer, elk (wapiti), bighorn sheep, mountain goats, and mountain lions, while the streams and lakes contain several species of trout. South Dakota has a continental climate with four distinct seasons, ranging from very cold, dry winters to hot and semi-humid summers. During the summers, the average high temperature throughout the state is often close to 90 °F (32 °C), although it generally cools down to near 60 °F (15 °C) at night. It is not unusual for South Dakota to have severe hot, dry spells in the summer with the temperature climbing above 100 °F (38 °C) several times every year. Winters are cold with January high temperatures averaging below freezing and low temperatures averaging below 10 °F (- 12 °C) in most of the state. The highest recorded temperature is 120 °F (49 °C) at Usta on July 15, 2006 and the lowest recorded temperature is −58 °F (−50.0 °C) at McIntosh on February 17, 1936. Average annual precipitation in South Dakota ranges from semi-arid conditions in the northwestern part of the state (around 15 inches, or 381 mm) to semi-humid around the southeast portion of the state (around 25 inches, or 635 mm), although a small area centered on Lead in the Black Hills has the highest precipitation at nearly 30 inches (762 mm) per year. South Dakota summers bring frequent, sometimes severe, thunderstorms with high winds, thunder, and hail. The eastern part of the state is often considered part of Tornado Alley, and South Dakota experiences an average of 30 tornadoes per year. Severe weather in the form of blizzards and ice storms occur often during winter. South Dakota contains several sites that are administered by the National Park Service. Two national parks have been established in South Dakota, both located in the southwestern part of the state. Wind Cave National Park, established in 1903 in the Black Hills, contains an extensive cave network as well as a large herd of bison. Badlands National Park was created in 1978. The park features a highly eroded, brightly colored landscape surrounded by semi-arid grasslands. Mount Rushmore National Memorial in the Black Hills was established in 1925. The sculpture of four U.S. Presidents was carved into the mountainside by sculptor Gutzon Borglum. Other areas managed by the National Park Service include Jewel Cave National Monument near Custer, the Lewis and Clark National Historic Trail, the Minuteman Missile National Historic Site, which features a decommissioned nuclear missile silo and a separate missile control area located several miles away, and the Missouri National Recreational River. The Crazy Horse Memorial is a large mountainside sculpture near Mt. Rushmore that is being constructed with private funds. Humans have lived in what is today South Dakota for at least several thousand years. The first inhabitants were Paleoindian hunter-gatherers, and disappeared from the area around 5000 BC. Between 500 AD and 800 AD, a semi-nomadic people known as the Mound Builders lived in central and eastern South Dakota. In the 14th century, the Crow Creek Massacre occurred, in which several hundred men, women, and children were killed near the Missouri River. By 1500 the Arikara (or Ree) had settled in much of the Missouri River valley. European contact with the area began in 1743, when the LaVerendrye brothers explored the region. The LaVerendrye group buried a plate near the site of modern day Pierre, claiming the region for France as part of greater Louisiana. By the early 19th century, the Sioux had largely replaced the Arikara as the dominant group in the area. In 1803, the United States purchased the Louisiana Territory, an area that included most of South Dakota, from Napoleon Bonaparte, and President Thomas Jefferson organized a group commonly referred to as the "Lewis and Clark Expedition" to explore the newly acquired region. In 1817, an American fur trading post was set up at present-day Fort Pierre, beginning continuous American settlement of the area. In 1855, the U.S. Army bought Fort Pierre but abandoned it the following year in favor of Fort Randall to the south. Settlement by Americans and Europeans was by this time increasing rapidly, and in 1858 the Yankton Sioux signed the 1858 Treaty, ceding most of present-day eastern South Dakota to the United States. Deadwood, like many other Black Hills towns, was founded after the discovery of gold. Land speculators founded two of eastern South Dakota's largest present-day cities: Sioux Falls in 1856 and Yankton in 1859. In 1861, the Dakota Territory was established by the United States government (this initially included North Dakota, South Dakota, and parts of Montana and Wyoming). Settlement of the area, mostly by people from the eastern United States as well as western and northern Europe, increased rapidly, especially after the completion of an eastern railway link to Yankton in 1873. In 1874 gold was discovered in the Black Hills during a military expedition led by George A. Custer and miners and explorers began illegally entering land promised to the Lakota. Custer's expedition took place despite the fact that the US had granted all of the western half of present-day South Dakota (West River) to the Sioux in 1868 by the Treaty of Laramie as part of the Great Sioux Reservation. The Sioux declined to grant mining rights or land in the Black Hills, and war broke out after the U.S. failed to stop white miners and settlers from entering the region. Eventually the US defeated the Sioux and broke up the Great Sioux Reservation into five reservations, settling the Lakota in those areas. (In 1980, the US Supreme Court and Congress ordered payment to the Lakota for the illegal seizure of the Black Hills. The case remains unsettled, as the Lakota refuse to accept the money and instead insist on the return of the land.) A growing population caused Dakota Territory to be divided in half and President Benjamin Harrison signed proclamations formally admitting both South Dakota and North Dakota to the union on November 2, 1889. Harrison had the papers shuffled to obscure which one was signed first and the order went unrecorded. On December 29, 1890, the Wounded Knee Massacre occurred on the Pine Ridge Indian Reservation. Commonly cited as the last major armed conflict between the United States and the Lakota Sioux Nation, the massacre resulted in the deaths of at least 146 Sioux, many of them women and children. 31 U.S. soldiers were also killed in the conflict. During the 1930s, several economic and climatic conditions combined with disastrous results for South Dakota. 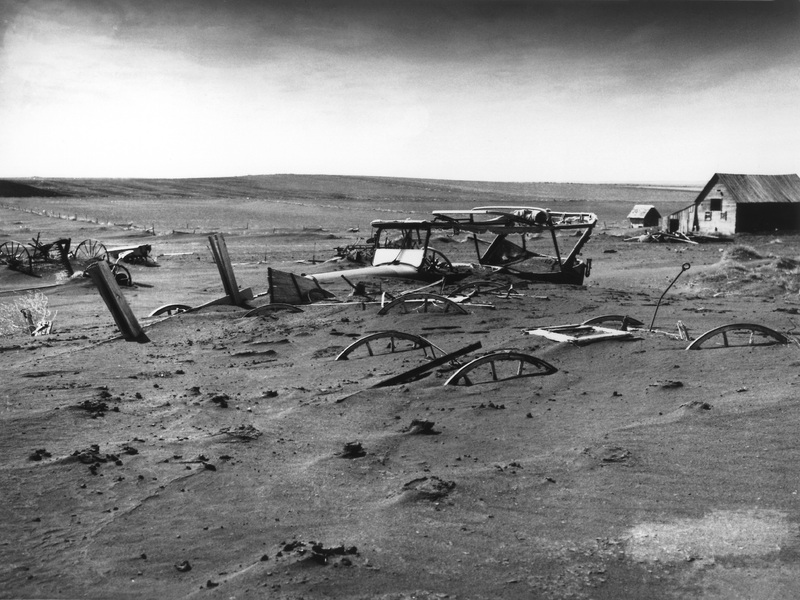 A lack of rainfall, extremely high temperatures and inappropriate cultivation techniques produced what was known as the Dust Bowl in South Dakota and several other plains states. Fertile topsoil was blown away in massive dust storms, and several harvests were completely ruined. The experiences of the Dust Bowl, coupled with local bank foreclosures and the general economic effects of the Great Depression, resulted in many South Dakotans leaving the state. The population of South Dakota declined by more than 7% between 1930 and 1940. Economic stability returned with the U.S. entry into World War II in 1941, when demand for the state's agricultural and industrial products grew as the nation mobilized for war. In 1944, the Pick-Sloan Plan was passed as part of the Flood Control Act of 1944 by the U.S. Congress, resulting in the construction of six large dams on the Missouri River, four of which are at least partially located in South Dakota. Flood control, hydroelectricity, and recreational opportunities such as boating and fishing are provided by the dams and their reservoirs. In recent decades, South Dakota has transformed from a state dominated by agriculture to one with a more diversified economy. The tourism industry has grown considerably since the completion of the interstate system in the 1960s, with the Black Hills becoming more important as a destination. The financial service industry began to grow in the state as well, with Citibank moving its credit card operations from New York to Sioux Falls in 1981, a move that has since been followed by several other financial companies. South Dakota was the first state to eliminate caps on interest rates. 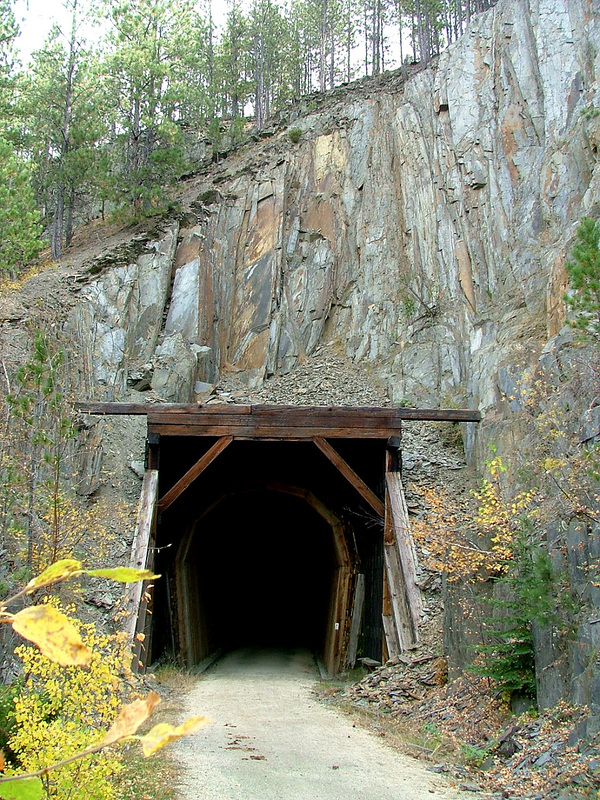 In 2007, the site of the recently closed Homestake gold mine near Lead was chosen as the location of a new underground research facility. Despite a growing state population and recent economic development, many rural areas have been struggling over the past 50 years with locally declining populations and the emigration of educated young adults to larger South Dakota cities, such as Rapid City or Sioux Falls, or to other states. Mechanization and consolidation of agriculture has contributed greatly to the declining number of smaller family farms and the resulting economic and demographic challenges facing rural towns. According to the U.S. Census Bureau, as of 2009, South Dakota has an estimated population of 812,383, an increase of 57,548, or 7.6%, since the year 2000. 7.3% of South Dakota's population were reported as under 5, 24.7% under 18, and 14.4% were 65 or older. Females made up approximately 50.2% of the population. As of the 2000 census, South Dakota ranked fifth-lowest in the nation in both population and population density. The center of population of South Dakota is located in Buffalo County, in the unincorporated county seat of Gannvalley. As of the 2005–2007 American Community Survey conducted by the U.S. Census Bureau, White Americans made up 87.4% of South Dakota's population, American Indians made up 8.2% of the state's population, Blacks or African Americans made up 1.0% of South Dakota's population, Asian Americans made up 0.9% of the state's population, and Pacific Islander Americans made up less than 0.1% of the state's population. Individuals from some other race made up 0.7% of the state's population and individuals from two or more races made up 1.8% of the state's population. In addition, Hispanics and Latinos made up 2.1% of South Dakota's population. The five largest ancestry groups in South Dakota are: German (40.7%), Norwegian (15.3%), Irish (10.4%), Native American (8.3%), and English (7.1%). German-Americans are the largest ancestry group in most parts of the state, especially in East River (east of the Missouri River), although there are also large Scandinavian-descended populations in some counties. South Dakota has the nation's largest population of Hutterites, a communal Anabaptist group which emigrated from Europe in 1874. South Dakota has a number of large Indian reservations (shown in pink). American Indians, largely Lakota, Dakota, and Nakota (Sioux) are predominant in several counties and comprise 20 per cent of the population in West River. South Dakota has the third highest proportion of Native Americans of any state, behind Alaska and New Mexico. Five of the state's counties are wholly within Indian reservations. Living standards on many South Dakota reservations are often far below the national average; Ziebach County ranked as the poorest county in the nation in 2009. The unemployment rate in Fort Thompson, on the Crow Creek Indian Reservation, is 70%, and 21% of households lack plumbing or basic kitchen appliances. A 1995 study by the U.S. Census Bureau found that 58% of homes on the Pine Ridge Indian Reservation did not have a telephone. English is specified by law as the "common language" of the state. As of the 2000 census, 1.90% of the population aged 5 or older speak German at home, while 1.51% speak Lakota or Dakota, and 1.43% Spanish. South Dakota, in common with other Great Plains states, has been experiencing a falling population in many rural areas over the last several decades, a phenomenon known as "rural flight". This trend has continued in recent years, with 30 of South Dakota's counties losing population between the 1990 and the 2000 census. During that time, nine counties experienced a population loss of greater than 10%, with Harding County, in the northwest corner of the state, losing nearly 19% of its population. Low birth rates and a lack of younger immigration has caused the median age of many of these counties to increase. In 24 counties, at least 20% of the population is over the age of 65, compared with a national rate of 12.8%. The effect of rural flight has not been spread evenly through South Dakota, however. Although most rural counties and small towns have lost population, the Sioux Falls area, the larger counties along Interstate 29, the Black Hills, and many Indian reservations have all gained population. In fact, Lincoln County, near Sioux Falls, is the ninth-fastest growing county (by percentage) in the United States. The growth in these areas has compensated for losses in the rest of the state, and South Dakota's total population continues to increase steadily, albeit at a slower rate than the national average. The current-dollar gross state product of South Dakota was US$37 billion as of 2008, the fifth smallest total state output in the US. The per capita personal income was $37,375 in 2008, ranked 26th in the U.S., and 13.2% of the population is below the poverty line. CNBC's list of "Top States for Business for 2010" has recognized South Dakota as the seventh best state in the nation. In March 2011, the state's unemployment rate was 4.9%. The service industry is the largest economic contributor in South Dakota. This sector includes the retail, finance, and health care industries. Citibank, which was the largest bank holding company in the United States at one time, established national banking operations in South Dakota in 1981 to take advantage of favorable banking regulations. Government spending is another important segment of the state's economy, providing over ten percent of the gross state product. Ellsworth Air Force Base, near Rapid City, is the second-largest single employer in the state. Agriculture has historically been a key component of the South Dakota economy. Although other industries have expanded rapidly in recent decades, agricultural production is still very important to the state's economy, especially in rural areas. The five most valuable agricultural products in South Dakota are cattle, corn (maize), soybeans, wheat, and hogs. Agriculture-related industries such as meat packing and ethanol production also have a considerable economic impact on the state. South Dakota is the sixth leading ethanol-producing state in the nation. Another important sector in South Dakota's economy is tourism. Many travel to view the attractions of the state, particularly those in the Black Hills region, such as historic Deadwood, Mount Rushmore, and the nearby state and national parks. One of the largest tourist events in the state is the annual Sturgis Motorcycle Rally. The five day event drew over 450,000 attendants in 2006; significant considering the state has a population of only 790,000. In 2006, tourism provided an estimated 33,000 jobs in the state and contributed over two billion dollars to the economy of South Dakota. As of 2005, South Dakota has the lowest per capita total state tax rate in the United States. The state does not levy personal or corporate income taxes, inheritance taxes, or taxes on intangible personal property. The state sales tax rate is 4 percent. Various localities have local levies so that in some areas the rate is 6 percent. The state sales tax does not apply to sales to Indians on Indian reservations, but many reservations have a compact with the state. Businesses on the reservation collect the tax and the state refunds to the Indian Tribes the percentage of sales tax collections relating to the ratio of Indian population to total population in the county or area affected. Ad valorem property taxes are local taxes and are a large source of funding for school systems, counties, municipalities and other local government units. The South Dakota Special Tax Division regulates some taxes including cigarette and alcohol related taxes. Beaver Creek Bridge in Wind Cave National Park. South Dakota has a total of 83,609 miles of highways, roads, and streets, along with 679 miles of interstate highways. Two major interstates pass through South Dakota: Interstate 90, which runs east and west; and Interstate 29, running north and south in the eastern portion of the state. The I-29 corridor features generally higher rates of population and economic growth than areas in eastern South Dakota that are further from the interstate. Also located in the state are the shorter interstates 190, a spur into central Rapid City, and 229, a loop around eastern and southern Sioux Falls. Several major U.S. highways pass through the state. U.S. routes 12, 14, 16, 18, and 212 travel east and west, while U.S. routes 81, 83, 85 and 281 run north and south. South Dakota and Montana are the only states sharing a land border which is not traversed by a paved road. South Dakota contains two National Scenic Byways. The Peter Norbeck National Scenic Byway is located in the Black Hills, while the Native American Scenic Byway runs along the Missouri River in the north-central part of the state. Other scenic byways include the Badlands Loop Scenic Byway, the Spearfish Canyon Scenic Byway, and the Wildlife Loop Road Scenic Byway. Railroads have played an important role in South Dakota transportation since the mid-19th century. Some 4,420 miles (7,110 km) of railroad track were built in South Dakota during the late 19th century and early 20th century, but only 1,839 miles (2,960 km) are active. BNSF Railway is currently the largest railroad in South Dakota; the Dakota, Minnesota, and Eastern Railroad is the state's other major carrier. Rail transportation in the state is confined only to freight, however, as South Dakota is one of the few states without any Amtrak service. South Dakota's largest commercial airports in terms of passenger traffic are the Sioux Falls Regional Airport and Rapid City Regional Airport. Delta Air Lines, Frontier Airlines, and Allegiant Airlines, as well as commuter airlines using the brand affiliation with major airlines serve the two largest airports. Several other cities in the state also have commercial air service, some of which is subsidized by the Essential Air Service program. Like that of other U.S. states, the structure of the government of South Dakota follows the same separation of powers as federal government, with executive, legislative, and judicial branches. The structure of the state government is laid out in the Constitution of South Dakota, the highest law in the state. The constitution may be amended either by a majority vote of both houses of the legislature, or by voter initiative. The Governor of South Dakota occupies the executive branch of the state government. The current governor is Dennis Daugaard, a Republican from Garretson. The state constitution gives the governor the power to either sign into law or veto bills passed by the state legislature, to serve as commander-in-chief of the South Dakota National Guard, to appoint a cabinet, and to commute criminal sentences or to pardon those convicted of crimes. The governor serves for a four-year term, and may not serve more than two consecutive terms. The state legislature is made up of two bodies, the Senate, which has 35 members, and the House of Representatives, with 70 members. South Dakota is divided into 35 legislative districts, with voters electing two representatives and one senator per district. The legislature meets for an annual session which begins on the second Tuesday in January and lasts for 30 days; it also meets if a special session is called by the governor. The judicial branch is made up of several levels. The state supreme court, with four justices and a chief justice, is the highest court in the state. Below the supreme court are the circuit courts; 38 circuit judges serve in seven judicial circuits in the state. Below the circuit courts are the magistrate courts, which deal with more minor criminal and civil actions. South Dakota is represented at the federal level by Senator Tim Johnson, Senator John Thune, and Representative Kristi Noem. Johnson is a Democrat and Thune and Noem are Republicans. South Dakota is one of seven states with only one seat in the US House of Representatives. American Indians have been becoming more active in state and county electoral politics. In the 2002 election, American Indian voting carried Tim Johnson as the Democratic candidate by a narrow margin. In US presidential elections, South Dakota is allotted three votes in the electoral college, out of a total of 538. Like most states, South Dakota's electoral votes are granted in a winner-take-all system. South Dakota politics are generally dominated by the Republican Party. The state has not supported a Democratic presidential candidate since 1964—even George McGovern, the Democratic nominee in 1972 and a native South Dakotan, did not carry the state. Additionally, a Democrat has not won the governorship since 1978. As of 2006, Republicans hold a 10% voter registration advantage over Democrats and hold majorities in both the state House of Representatives and Senate. Despite the state's general Republican and conservative leanings, Democrats have found success in various state-wide elections, most notably in those involving South Dakota's congressional representatives in Washington. In 2002, increasing political participation by Native Americans helped organize support for Democratic Senator Tim Johnson, who won re-election by 532 votes. Until his electoral defeat in 2004, Senator Tom Daschle was the Senate minority leader (and briefly its majority leader during Democratic control of the Senate in 2001–02). Contemporary political issues in South Dakota include the costs and benefits of the state lottery, South Dakota's relatively low rankings in education spending (particularly teacher pay), and recent legislative and electoral attempts to ban abortion in the state. In 2010, Republican Dennis Daugaard defeated Democrat Scott Heidepriem for governor, and Republican Kristi Noem defeated incumbent Congresswoman Stephanie Herseth Sandlin for South Dakota's at-large seat in the US House of Representatives. Author Laura Ingalls Wilder used her experiences growing up near De Smet as the basis for four of her novels. Much of South Dakota's culture reflects the state's American Indian, rural, Western, and European roots. A number of annual events celebrating the state's ethnic and historical heritage take place around the state, such as Days of '76 in Deadwood, Czech Days in Tabor, and the annual St. Patrick's Day and Cinco de Mayo festivities in Sioux Falls. Many pow wows are held yearly throughout the state, and Custer State Park's Buffalo Roundup, in which volunteers on horseback gather the park's herd of around 1,500 bison, is a popular annual event. 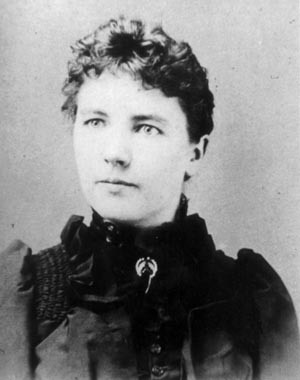 Laura Ingalls Wilder, whose semi-autobiographical books center around her experiences as a child and young adult on the frontier, is one of South Dakota's best-known writers. She used her experiences growing up on a homestead near De Smet as the basis for four of her novels: By the Shores of Silver Lake, The Long Winter, Little Town on the Prairie, These Happy Golden Years, and The First Four Years. Wilder's daughter, Rose Wilder Lane, a well-known writer in her own right, was born near De Smet in 1886. Another literary figure from the state is Black Elk, whose narration of the Indian Wars and Ghost Dance movement and thoughts on Native American religion forms the basis of the book Black Elk Speaks. The award-winning children's book author and illustrator Paul Goble has been based in the Black Hills since 1977. South Dakota has also produced several notable artists. Harvey Dunn grew up on a homestead near Manchester in the late 19th century. While most of his career was spent as an illustrator, Dunn's most famous works, showing various scenes of frontier life, were completed near the end of his career. Oscar Howe was born on the Crow Creek Indian Reservation and won fame for his watercolor paintings. Howe was one of the first Native American painters to produce works heavily influenced by abstraction, as opposed to ones relying on more traditional styles. Terry Redlin, originally from Watertown, is an accomplished painter of rural and wildlife scenes. Many of Redlin's works are on display at the Redlin Art Center in Watertown. Sioux Falls, with a population of around 160,000, is the largest city in South Dakota. Sioux Falls is the largest city in South Dakota, with an estimated 2009 population of 158,008, and a metropolitan area population of 238,122. The city, founded in 1856, is located in the southeast corner of the state. 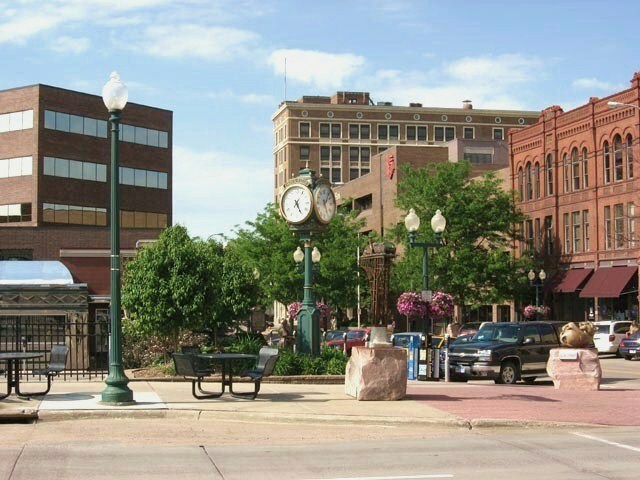 Retail, finance and healthcare have assumed greater importance in Sioux Falls, where the economy was originally centered on agri-business and quarrying. Rapid City, with a 2009 estimated population of 67,107, and a metropolitan area population of 124,766, is the second-largest city in the state. It is located on the eastern edge of the Black Hills, and was founded in 1876. Rapid City's economy is largely based on tourism and defense spending, because of the close proximity of many tourist attractions in the Black Hills and Ellsworth Air Force Base. Aberdeen is the third largest city in South Dakota, with an estimated population of 24,992, and a micropolitan area population of 39,139. Located in the northeast corner of the state, it was founded in 1881 during the expansion of the Milwaukee Railroad. The next seven largest cities in the state, in order of descending 2009 population, are Watertown (20,350), Brookings (20,184), Mitchell (14,747), Pierre (14,072), Yankton (13,866), Huron (11,281), and Vermillion (10,417). Pierre is the state capital, and Brookings and Vermillion are the locations of the state's two largest universities. Of the ten largest cities in the state, only Rapid City is located west of the Missouri River. South Dakota's first newspaper, the Dakota Democrat, began publishing in Yankton in 1858. Today, the largest newspaper in the state is the Sioux Falls Argus Leader, with a Sunday circulation of 63,701 and a weekday circulation of 44,334. The Rapid City Journal, with a Sunday circulation of 32,638 and a weekday circulation of 27,827, is South Dakota's second largest newspaper. The next four largest newspapers in the state are the Aberdeen American News, the Watertown Public Opinion, the Huron Plainsman, and the Brookings Register. In 1981, Tim Giago founded the Lakota Times as a newspaper for the local American Indian community on the Pine Ridge Indian Reservation. The newspaper, now published in New York and known as Indian Country Today, is currently available in every state in the country. There are currently nine television stations broadcasting in South Dakota; South Dakota Public Television broadcasts from a number of locations around the state, while the other stations broadcast from either Sioux Falls or Rapid City. The two largest television media markets in South Dakota are Sioux Falls-Mitchell, with a viewership of 246,020, and Rapid City, with a viewership of 91,070. The two markets rank as 114th and 177th largest in the United States, respectively. The first television station in the state, KELO-TV, began airing in Sioux Falls in 1953. Among KELO's early programs was Captain 11, an afternoon children's program. Captain 11 ran from 1955 until 1996, making it the longest continuously running children's television program in the nation. A number of South Dakotans are famous for their work in the fields of television and publishing. Former NBC Nightly News anchor and author Tom Brokaw is from Webster and Yankton, USA Today founder Al Neuharth is from Eureka and Alpena, gameshow host Bob Barker spent much of his childhood in Mission, and entertainment news hosts Pat O'Brien and Mary Hart are both from Sioux Falls. As of 2006, South Dakota has a total primary and secondary school enrollment of 136,872, with 120,278 of these students being educated in the public school system. There are 703 public schools in 168 school districts, giving South Dakota the highest number of schools per capita in the United States. The current high school graduation rate is 89.9%, and the average ACT score is 21.8, slightly above the national average of 21.1. 84.6% of the adult population has earned at least a high school diploma, and 21.5% has earned a bachelor's degree or higher. South Dakota's 2008 average public school teacher salary of $36,674, compared to a national average of $52,308, was the lowest in the nation. The South Dakota Board of Regents, whose members are appointed by the governor, controls the six public universities in the state. 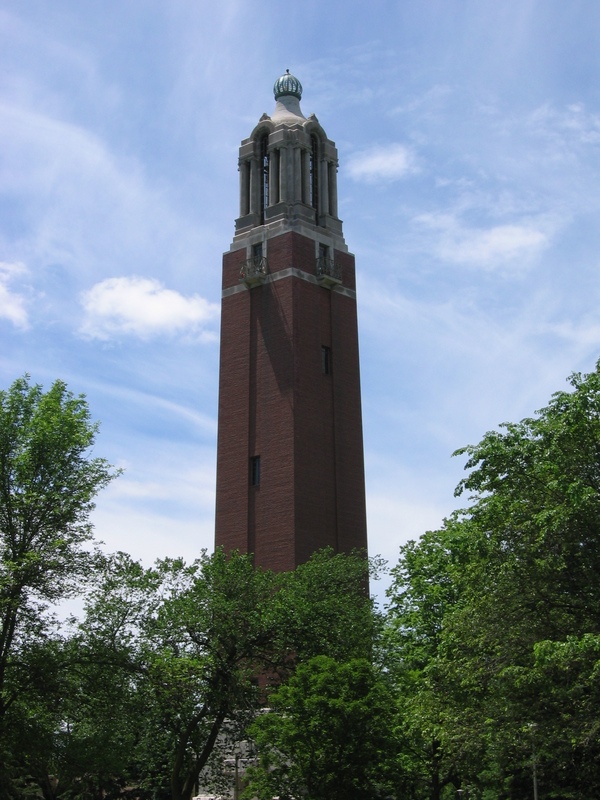 South Dakota State University (SDSU), in Brookings, is the largest university in the state, with an enrollment of 12,376. The University of South Dakota (USD), in Vermillion, is the state's oldest university, and has South Dakota's only law school and medical school. South Dakota also has several private universities, the largest of which is Augustana College in Sioux Falls. Because of its low population, South Dakota does not host any major league professional sports franchises. The state does have a number of minor league teams, all of which play in either Sioux Falls or Rapid City. Sioux Falls is currently home to four teams: the Sioux Falls Fighting Pheasants (a baseball team formerly known as the Canaries), the Sioux Falls Skyforce (basketball), the Sioux Falls Stampede (hockey), and the Sioux Falls Storm (arena football). The Fighting Pheasants play at Sioux Falls Stadium, while the others play at the Sioux Falls Arena. Rapid City has a hockey team named the Rapid City Rush. The Rush recently began their inaugural season at the Rushmore Plaza Civic Center. Universities in South Dakota host a variety of sports programs. For many years, South Dakota was one of the only states in the country without a NCAA Division I football or basketball team. However, several years ago SDSU decided to move their teams from Division II to Division I, a move that has since been followed by the University of South Dakota. Other universities in the state compete at the NCAA's Division II or III levels, or in the NAIA. Famous South Dakota athletes include Billy Mills, Mike Miller, Mark Ellis, Becky Hammon, Brock Lesnar, and Adam Vinatieri. Mills is from the town of Pine Ridge and competed at the 1964 Summer Olympic Games in Tokyo, becoming the only American to win a gold medal in the 10,000 meter event. Mike Miller of Mitchell played at the University of Florida, leading them to the 2000 NCAA Championship game his sophomore year and won the 2001 NBA rookie of the year award. The famous Sturgis Motorcycle Rally of the america hosted by the South Dakota every year on the month of August. Mark Ellis of Rapid City played for the University of Florida and is currently a second baseman for the Oakland Athletics. Becky Hammon of Rapid City plays for the WNBA's San Antonio Silver Stars. Lesner, of Webster, is a former heavy-weight champion in the UFC and WWE. Vinatieri is an NFL placekicker who grew up in Rapid City and attended SDSU. A tunnel along the George S. Mickelson Trail, a rail trail in the Black Hills. Fishing and hunting are both popular outdoor activities in South Dakota. Fishing contributes over $170 million to South Dakota's economy, and hunting contributes over $190 million. In 2007, over 275,000 hunting licences and 175,000 fishing licences were sold in the state; around half of the hunting licences and over two-thirds of the fishing licences were purchased by South Dakotans. Popular species of game include pheasants, white-tailed deer, mule deer, and turkeys, as well as waterfowl such as Canada geese, snow geese, and mallards. Targets of anglers include walleye in the eastern glacial lakes and Missouri River reservoirs, chinook salmon in Lake Oahe, and trout in the Black Hills. Other sports, such as cycling and running, are also popular in the state. In 1991, the state opened the George S. Mickelson Trail, a 109-mile (175-km) rail trail in the Black Hills. Besides being used by cyclists, the trail is also the site of a portion of the annual Mount Rushmore marathon; all of the marathon's course is at an elevation of over 4,000 feet (1,200 m). Other events in the state include the Tour de Kota, a 478-mile (766-km), six-day cycling event that covers much of eastern and central South Dakota, and the annual Sturgis Motorcycle Rally, which draws hundreds of thousands of participants from around the United States. Reverse side of U.S. quarter coin with a commemorative South Dakota design depicting Mt. Rushmore, a pheasant, wheat, and the year of statehood. State insect: Honey bee – Apis mellifera L.
State song: "Hail, South Dakota!" ^ a b "South Dakota Codified Laws (1–27–20)". South Dakota State Legislature. http://legis.state.sd.us/statutes/DisplayStatute.aspx?Type=Statute&Statute=1-27-20. Retrieved April 27, 2010. ^ a b "Land and Water Area of States (2000)". www.infoplease.com. http://www.infoplease.com/ipa/A0108355.html. Retrieved September 3, 2007. ^ a b c "Resident Population Data". United States Census Bureau. http://2010.census.gov/2010census/data/apportionment-pop-text.php. Retrieved December 30, 2010. ^ a b c d e "Elevations and Distances in the United States". United States Geological Survey. April 29, 2005. http://erg.usgs.gov/isb/pubs/booklets/elvadist/elvadist.html. Retrieved November 7, 2006. ^ a b c Hasselstrom, pp. 2–4. ^ a b "State Population – Rank, Percent Change, and Population Density". United States Census Bureau. http://www.allcountries.org/uscensus/21_state_population_rank_percent_change_and.html. Retrieved January 29, 2010. ^ Census Regions and Divisions of the United States, U.S. Census Bureau. Retrieved January 29, 2009. ^ Garcia-Castellanos, D.; U. Lombardo (2007). "Poles of Inaccessibility: A Calculation Algorithm for the Remotest Places on Earth". Scottish Geographical Journal 123 (3): 227–233. DOI:10.1080/14702540801897809. Retrieved on 2008. ^ "Eastern South Dakota Wetlands". United States Geological Survey. http://www.npwrc.usgs.gov/resource/wetlands/eastwet/overview.htm. Retrieved January 25, 2009. ^ a b c "The Geology of South Dakota". Northern State University. http://www3.northern.edu/natsource/EARTH/Geolog1.htm. Retrieved August 29, 2008. ^ "Pleistocene Deposits". South Dakota Department of Environment & Natural Resources. Archived from the original on January 16, 2008. http://web.archive.org/web/20080116121210/http://www.sdgs.usd.edu/geology/pleistocene.html. Retrieved November 28, 2008. ^ "Mesozoic Formations". South Dakota Department of Environment & Natural Resources. Archived from the original on February 13, 2008. http://web.archive.org/web/20080213170116/http://www.sdgs.usd.edu/geology/mesozoic.html. Retrieved November 28, 2008. ^ "Tertiary Formations". South Dakota Department of Environment & Natural Resources. Archived from the original on September 25, 2007. http://web.archive.org/web/20070925065217/http://www.sdgs.usd.edu/geology/tertiary.html. Retrieved November 28, 2008. ^ "Precambrian Formations". South Dakota Department of Environment & Natural Resources. Archived from the original on January 16, 2008. http://web.archive.org/web/20080116121220/http://www.sdgs.usd.edu/geology/precambrian.html. Retrieved November 28, 2008. ^ a b "Paleozoic Formations". South Dakota Department of Environment & Natural Resources. Archived from the original on January 16, 2008. http://web.archive.org/web/20080116121205/http://www.sdgs.usd.edu/geology/paleozoic.html. Retrieved November 28, 2008. ^ "A Short Introduction to Terrestrial Biomes". www.nearctica.com. http://www.nearctica.com/ecology/habitats/biointro.htm. Retrieved September 22, 2007. ^ "South Dakota Flora". Northern State University. http://www3.northern.edu/natsource/flora1.htm. Retrieved September 22, 2007. ^ a b "South Dakota Fauna". Northern State University. http://www3.northern.edu/natsource/fauna1.htm. Retrieved September 22, 2007. ^ "Ring-Necked Pheasant". Northern State University. http://www3.northern.edu/natsource/BIRDS/Ringne1.htm. Retrieved September 22, 2007. ^ Hetland, Cara. South Dakota bald eagles make a comeback Publicradio.org Minnesota Public Radio. February 8, 2007. (accessed September 22, 2007). ^ "Paddlefish". Northern State University. http://www3.northern.edu/natsource/ENDANG1/Paddle1.htm. Retrieved September 22, 2007. ^ "Black Hills Deer". South Dakota Department of Game, Fish and Parks. http://www.sdgfp.info/wildlife/hunting/biggame/BHDeer.htm. Retrieved January 29, 2010. ^ "Brook Trout". South Dakota Department of Game, Fish and Parks. http://www.sdgfp.info/Wildlife/Education/FishBook/fishbook.brooktrout.pdf. Retrieved January 29, 2010. ^ "Rainbow Trout". South Dakota Department of Game, Fish and Parks. http://www.sdgfp.info/Wildlife/Education/FishBook/fishbook.rainbowtrout.pdf. Retrieved January 29, 2010. ^ a b "Climate of South Dakota" (PDF). National Climatic Data Center. http://www5.ncdc.noaa.gov/climatenormals/clim60/states/Clim_SD_01.pdf. Retrieved November 26, 2008. ^ "Precipitation Normals (1971–2000)". South Dakota State University. http://climate.sdstate.edu/archives/data/pptnormals.shtm. Retrieved November 26, 2008. ^ "Tornado Climatology". National Severe Storms Laboratory. http://www.nssl.noaa.gov/primer/tornado/tor_climatology.html. Retrieved February 7, 2009. ^ "Annual Average Number of Tornadoes, 1953–2004". National Climatic Data Center. http://www.ncdc.noaa.gov/img/climate/research/tornado/small/avgt5304.gif. Retrieved June 25, 2009. ^ "Wind Cave History". National Park Service. http://www.nps.gov/archive/wica/Wind_Cave_History.htm. Retrieved August 28, 2007. ^ "Frequently Asked Questions (Badlands National Park)". National Park Service. http://www.nps.gov/badl/faqs.htm. Retrieved August 27, 2007. ^ "Badlands". National Park Service. http://www.nps.gov/badl. Retrieved August 27, 2007. ^ "Carving History". National Park Service. http://www.nps.gov/archive/moru/park_history/carving_hist/carving_history.htm. Retrieved August 27, 2007. ^ "South Dakota". National Park Service. http://www.nps.gov/state/SD/. Retrieved August 28, 2007. ^ Hetland, Cara. Crazy Horse Memorial turns 60 this year Publicradio.org Minnesota Public Radio. June 8, 2008. (accessed February 7, 2009). ^ Deloria and Neal (eds. ), p. 161. ^ Thompson (ed. ), pp. 56–57. ^ a b c "Chronology of South Dakota History". South Dakota Historical Society. Archived from the original on September 1, 2007. http://web.archive.org/web/20070901170704/http://www.sdhistory.org/soc/soc_hist.htm. Retrieved September 3, 2007. ^ Thompson (ed. ), pp. 69–71. ^ "Dakota Territory History". Union County Historical Society. http://www.acsnet.com/~jkjar/dt_history.htm. Retrieved September 3, 2007. ^ Thompson (ed. ), p. 529. ^ a b Thompson (ed. ), pp. 115–116. ^ a b Schell, pp. 304–305. ^ "Drought in the Dust Bowl Years". National Drought Mitigation Center. http://drought.unl.edu/whatis/dustbowl.htm. Retrieved April 4, 2007. ^ "Population of Counties by Decennial Census: 1900 to 1990". United States Census Bureau. http://www.census.gov/population/cencounts/sd190090.txt. Retrieved December 14, 2008. ^ a b Schell, pp. 323–325. ^ "Homestake Strikes Gold Again". South Dakota Science and Technology Authority. Archived from the original on December 15, 2007. http://web.archive.org/web/20071215142331/http://www.sanfordlaboratoryathomestake.org/news_07-10-07a.html. Retrieved August 28, 2007. ^ "Sweeping out the Plains". www.aliciapatterson.org. http://www.aliciapatterson.org/APF2102/Coffman_Anthan/Coffman_Anthan.html. Retrieved April 5, 2007. ^ Thompson (ed. ), pp. 542-549. ^ a b c d e "State & County QuickFacts (South Dakota)". United States Census Bureau. http://quickfacts.census.gov/qfd/states/46000.html. Retrieved August 22, 2008. ^ "Population and Population Centers by State – 2000". United States Census Bureau. http://www.census.gov/geo/www/cenpop/statecenters.txt. Retrieved August 18, 2007. ^ "Fact Sheet – South Dakota (2005–2007)". United States Census Bureau. http://factfinder.census.gov/servlet/ACSSAFFFacts?_event=Search&geo_id=&_geoContext=&_street=&_county=&_cityTown=&_state=04000US46&_zip=&_lang=en&_sse=on&pctxt=fph&pgsl=010. Retrieved August 28, 2009. ^ "ACS Demographic and Housing Estimates 2005–2007". United States Census Bureau. http://factfinder.census.gov/servlet/ADPTable?_bm=y&-geo_id=04000US46&-qr_name=ACS_2007_3YR_G00_DP3YR5&-ds_name=ACS_2007_3YR_G00_&-_lang=en&-_sse=on. Retrieved August 28, 2009. ^ a b "Quick Tables". United States Census Bureau. http://factfinder.census.gov/servlet/QTTable?_bm=n&_lang=en&qr_name=DEC_2000_SF3_U_DP2&ds_name=DEC_2000_SF3_U&geo_id=04000US46. Retrieved August 29, 2008. ^ "Color them plain but successful". The Federal Reserve Bank of Minneapolis. http://www.minneapolisfed.org/publications_papers/pub_display.cfm?id=1409. Retrieved December 14, 2008. ^ "States Ranked by American Indian and Alaska Native Population, July 1, 1999". United States Census Bureau. http://www.census.gov/population/estimates/state/rank/aiea.txt. Retrieved December 14, 2008. ^ "Press Releases – Uniquely South Dakota". South Dakota Department of Tourism. http://www.travelsd.com/Newsroom/pressreleases/uniquelysd.asp?id=356. Retrieved August 22, 2008. ^ "Transportation and Tourism Development at the Pine Ridge Indian Reservation". Federal Highway Administration. http://www.fhwa.dot.gov/planning/econDev/pineridge.htm. Retrieved December 19, 2008. ^ "Most Spoken Languages in South Dakota". www.mla.org. http://www.mla.org/map_data_results&state_id=46&mode=state_tops. Retrieved August 18, 2007. ^ "South Dakota state and county demographic profiles". South Dakota State University. http://agbionews.sdstate.edu/story.cfm?id=4420. Retrieved December 16, 2008. ^ "100 Fastest Growing Counties". United States Census Bureau. http://www.census.gov/popest/counties/CO-EST2004-09.html. Retrieved April 10, 2007. ^ "State Membership Report – South Dakota". Association of Religion Data Archives. http://www.thearda.com/mapsReports/reports/state/46_2000.asp. Retrieved November 30, 2008. ^ "American Religious Identification Survey". Exhibit 15. The Graduate Center, City University of New York. http://www.gc.cuny.edu/faculty/research_briefs/aris/key_findings.htm. Retrieved April 6, 2007. ^ America's Top States for Business 2010." CNBC Special Report (2010): 1. Web. 9 May 2011. <http://www.cnbc.com/id/37516043/>. ^ "Local Area Unemployment Statistics". Bureau of Labor Statistics. http://www.bls.gov/lau/. Retrieved May 9, 2011. ^ "State Fact Sheets: South Dakota". United States Department of Agriculture. http://www.ers.usda.gov/statefacts/SD.htm. Retrieved June 25, 2009. ^ "Ethanol Production By State". Nebraska Energy Office. http://www.neo.ne.gov/statshtml/121.htm. Retrieved June 30, 2007. ^ a b "Sturgis Rally Attendance Statistics". www.sturgis.com. http://www.sturgis.com/2kstats.html. Retrieved April 6, 2007. ^ "South Dakota Tourism Statistics". South Dakota Department of Tourism. http://sdvisit.com/tools/facts/index.asp. Retrieved April 6, 2007. ^ "States Ranked by Total State Taxes and Per Capita Amount: 2005". U.S. Census Bureau. http://www.census.gov/govs/statetax/05staxrank.html. Retrieved April 4, 2007. ^ "South Dakota". The Tax Foundation. http://www.taxfoundation.org/research/topic/58.html. Retrieved January 31, 2010. ^ "Inheritance/Estate Tax". South Dakota Department of Revenue & Regulation. http://www.state.sd.us/drr2/propspectax/inheritance.htm. Retrieved January 27, 2008. ^ "State Sales Tax Rates". Federation of Tax Administrators. http://www.taxadmin.org/FTA/rate/sales.html. Retrieved December 18, 2007. ^ South Dakota Department of Revenue & Regulation. "Special Tax Information". http://www.state.sd.us/drr2/propspectax/index.htm. Retrieved March 18, 2008. ^ "General Information/Key Facts". South Dakota Department of Transportation. http://www.sddot.com/geninfo_facts.asp. Retrieved September 3, 2007. ^ "South Dakota". National Scenic Byways Program. http://www.byways.org/explore/states/SD/. Retrieved January 24, 2008. ^ "Basic Mileage". South Dakota Department of Transportation. http://www.sddot.com/fpa/railroad/basic.asp. Retrieved September 3, 2007. ^ "BNSF". South Dakota Department of Transportation. http://www.sddot.com/fpa/railroad/carr_bnsf.asp. Retrieved September 3, 2007. ^ "DM&E". South Dakota Department of Transportation. http://www.sddot.com/fpa/railroad/carr_dme.asp. Retrieved September 3, 2007. ^ "Planning a Trip". www.frommers.com. http://www.frommers.com/destinations/southdakota/3738010002.html. Retrieved September 3, 2007. ^ "What is Essential Air Service?" (PDF). United States Department of Transportation. http://ntl.bts.gov/lib/1000/1500/1548/eas.pdf. Retrieved December 13, 2008. ^ "Article XXIII, Section 1, Constitution of South Dakota". South Dakota Legislature. http://legis.state.sd.us/statutes/DisplayStatute.aspx?Type=Statute&Statute=0N-23-1. Retrieved November 26, 2008. ^ "Article IV, Section 1, Constitution of South Dakota". South Dakota Legislature. http://legis.state.sd.us/statutes/DisplayStatute.aspx?Type=Statute&Statute=0N-4-1. Retrieved November 26, 2008. ^ "Article IV, Section 3, Constitution of South Dakota". South Dakota Legislature. http://legis.state.sd.us/statutes/DisplayStatute.aspx?Type=Statute&Statute=0N-4-3. Retrieved November 26, 2008. ^ "Article IV, Section 4, Constitution of South Dakota". South Dakota Legislature. http://legis.state.sd.us/statutes/DisplayStatute.aspx?Type=Statute&Statute=0N-4-4. Retrieved November 26, 2008. ^ "Article IV, Section 2, Constitution of South Dakota". South Dakota Legislature. http://legis.state.sd.us/statutes/DisplayStatute.aspx?Type=Statute&Statute=0N-4-2. Retrieved November 26, 2008. ^ a b c "Fact Sheet". State of South Dakota. http://www.state.sd.us/factpage.htm. Retrieved November 26, 2008. ^ a b c "Overview – UJS". South Dakota Unified Judicial System. http://www.sdjudicial.com/courtinfo/Default.aspx. Retrieved January 30, 2010. ^ "Member Information". Office of the Clerk – United States House of Representatives. http://clerk.house.gov/member_info/olm110.html. Retrieved April 5, 2009. ^ "U.S. Electoral College – 2008 Presidential Election". www.archives.gov. http://archives.gov/federal-register/electoral-college/2008/allocation.html. Retrieved December 15, 2008. ^ "U.S. Electoral College – Frequently Asked Questions". www.archives.gov. http://www.archives.gov/federal-register/electoral-college/faq.html. Retrieved December 15, 2008. ^ "McGovern, George Stanley, (1922–)". Biographical Directory of the United States Congress. http://bioguide.congress.gov/scripts/biodisplay.pl?index=m000452. Retrieved October 5, 2007. ^ "Presidential General Election Graph Comparison – South Dakota". www.uselectionatlas.org. http://www.uselectionatlas.org/RESULTS/comparegraphs.php?year=2004&fips=46&f=0&off=0&elect=0. Retrieved October 5, 2007. ^ "South Dakota Voter Registration Statistics". South Dakota Secretary of State. http://www.sdsos.gov/electionsvoteregistration/pastelections_voterstats1988-2004.shtm. Retrieved April 10, 2007. ^ "Official List of South Dakota Representatives". State of South Dakota. http://legis.state.sd.us/sessions/2007/hourost.htm. Retrieved April 10, 2007. ^ "Official List of South Dakota Senators". State of South Dakota. http://legis.state.sd.us/sessions/2007/senrost.htm. Retrieved April 10, 2007. ^ "Statistics of the Congressional Election of November 2, 2002". Office of the Clerk - US House of Representatives. http://clerk.house.gov/member_info/electionInfo/2002/2002Stat.htm#41. Retrieved 2011-06-09. ^ "Daschle Loses S.D. Senate Seat to Thune". www.foxnews.com. November 3, 2004. http://www.foxnews.com/story/0,2933,137397,00.html. Retrieved April 10, 2007. ^ "About SD Lottery – History". South Dakota Lottery. http://lottery.sd.gov/about/. Retrieved June 26, 2009. ^ "Quality Counts 2000 – Who Should Teach?". Education Week. http://counts.edweek.org/sreports/qc00/templates/state-policy.cfm?slug=sd-up.htm. Retrieved April 9, 2007. ^ "South Dakota Abortion Ban Rejected". USA Today. November 8, 2006. http://www.usatoday.com/news/politicselections/vote2006/SD/2006-11-08-abortion-ban_x.htm. Retrieved December 14, 2008. ^ Rovner, Julie. South Dakotans Again Consider An Abortion Ban  National Public Radio. October 27, 2008. (accessed August 13, 2009). ^ "South Dakota's Governor-elect Thanks Voters". KELO-TV. http://www.keloland.com/news/campaign/NewsDetail8632.cfm?Id=106666. Retrieved 2010-11-03. ^ "Western SD Delivers Votes for U.S. Rep-Elect Noem". KELO-TV. http://www.keloland.com/news/campaign/NewsDetail8634.cfm?Id=106687. Retrieved 2010-11-03. ^ "Days of '76 Celebration to include Saturday evening performance". Tri-State Livestock News. http://www.tsln.com/article/20090601/TSLN01/906019995/1023/NONE&parentprofile=1013. Retrieved January 29, 2010. ^ Thompson (ed. ), p. 133. ^ "South Dakota Powwow Schedule". South Dakota Office of Tribal Government Relations. http://www.state.sd.us/oia/powwow.asp. Retrieved January 29, 2010. ^ "Buffalo Roundup and Arts Festival". South Dakota Department of Game, Fish and Parks. http://www.sdgfp.info/Parks/Regions/Custer/round.htm. Retrieved January 29, 2010. ^ "Laura's History". Laura Ingalls Wilder Historic Home and Museum. http://www.lauraingallswilderhome.com/history1.htm. Retrieved December 19, 2008. ^ "Black Elk". C-Span – American Writers. http://www.americanwriters.org/writers/elk.asp. Retrieved December 19, 2008. ^ "Paul Goble". HarperCollins. http://www.harpercollins.com/authors/20771/Paul_Goble/index.aspx. Retrieved January 17, 2010. ^ "Terry Redlin". South Dakota Hall of Fame. http://www.sdhalloffame.com/index.php?option=com_content&task=view&id=36&Itemid=78&iid=410. Retrieved May 11, 2009. ^ a b c d e "Datasets:All States, incorporated places only". United States Census Bureau. http://www.census.gov/popest/cities/files/SUB-EST2009-IP.csv. Retrieved 2011-01-27. ^ a b c "Metropolitan and micropolitan statistical area population and estimated components of change: April 1, 2000 to July 1, 2009". United States Census Bureau. http://www.census.gov/popest/metro/files/2009/CBSA-EST2009-alldata.csv. Retrieved 2010-01-27. ^ "History of Sioux Falls". City of Sioux Falls. http://www.siouxfalls.org/Information/history/siouxfalls.aspx. Retrieved October 6, 2008. ^ a b Thompson (ed. ), p. 554. ^ "South Dakota". National Atlas. http://www.nationalatlas.gov/printable/images/pdf/reference/pagegen_sd.pdf. Retrieved August 7, 2009. ^ a b c "US Newspaper – Search Results (South Dakota)". Audit Bureau of Circulation. http://abcas3.accessabc.com/ecirc/newsform.asp. Retrieved December 13, 2008. ^ "Tim Giago". South Dakota Hall of Fame. http://www.sdhalloffame.com/index.php?option=com_content&task=view&id=36&Itemid=78&iid=164. Retrieved May 11, 2009. ^ "U.S. Television Stations in South Dakota". Global Computing. 2007. http://www.globalcomputing.com/GetTV_Map1.cfm?PageNum_q_GetTV_Map=1&stateid=SD. Retrieved December 13, 2008. ^ a b "Nielson Media Research Local Universe Estimates (US)". Nielson Media. 2005-6. Archived from the original on May 17, 2006. http://web.archive.org/web/20060517010320/http://www.nielsenmedia.com/DMAs.html. Retrieved December 13, 2008. ^ "Dave Dedrick: 1928–2010". KELO-TV. http://keloland.com/NewsDetail6162.cfm?Id=95595. Retrieved January 23, 2010. ^ "Tom Brokaw". South Dakota Hall of Fame. http://www.sdhalloffame.com/index.php?option=com_content&task=view&id=36&Itemid=78&iid=58. Retrieved May 11, 2009. ^ "Allen Neuharth". South Dakota Hall of Fame. http://www.sdhalloffame.com/index.php?option=com_content&task=view&id=36&Itemid=78&iid=368. Retrieved 2011-05-26. ^ "Robert (Bob) Barker". South Dakota Hall of Fame. http://www.sdhalloffame.com/index.php?option=com_content&task=view&id=36&Itemid=78&iid=24. Retrieved May 11, 2009. ^ "Pat O'Brien". South Dakota Hall of Fame. http://www.sdhalloffame.com/index.php?option=com_content&task=view&id=36&Itemid=78&iid=375. Retrieved May 11, 2009. ^ "Mary Hart". South Dakota Hall of Fame. http://www.sdhalloffame.com/index.php?option=com_content&task=view&id=36&Itemid=78&iid=203. Retrieved May 11, 2009. ^ "Student Demographics". South Dakota Department of Education. Archived from the original on November 8, 2007. http://web.archive.org/web/20071108120008/http://doe.sd.gov/publications/annualreport/2007/studentdeomographics/k12enrollment.asp. Retrieved November 26, 2007. ^ "School System By Type (2006–07)". South Dakota Department of Education. Archived from the original on November 8, 2007. http://web.archive.org/web/20071108115945/http://doe.sd.gov/publications/annualreport/2007/schoolsandpersonnel/type.asp. Retrieved November 26, 2007. ^ "Schools & Personnel". South Dakota Department of Education. Archived from the original on November 8, 2007. http://web.archive.org/web/20071108115954/http://doe.sd.gov/publications/annualreport/2007/schoolsandpersonnel/numberofSD.asp. Retrieved November 26, 2007. ^ "Number of Schools (most recent) (per capita)". www.statemaster.com. http://www.statemaster.com/graph/edu_ele_sec_tot_num_of_sch_percap-total-number-schools-per-capita. Retrieved November 26, 2007. ^ "South Dakota Graduation Rate". South Dakota Department of Education. Archived from the original on November 8, 2007. http://web.archive.org/web/20071108120013/http://doe.sd.gov/publications/annualreport/2007/studentachievement/Graduationrate.asp. Retrieved November 26, 2007. ^ "ACT Average Composite Score South Dakota vs. National". South Dakota Department of Education. Archived from the original on November 8, 2007. http://web.archive.org/web/20071108120016/http://doe.sd.gov/publications/annualreport/2007/studentachievement/ACT.asp. Retrieved November 26, 2007. ^ "Rankings and Estimates 2008". National Education Association. http://www.nea.org/home/29402.htm. Retrieved January 30, 2010. ^ a b "Regents Information System". South Dakota Board of Regents. http://www.sdbor.edu/publications/documents/factbook10.pdf. Retrieved July 20, 2010. ^ "Locations". South Dakota Board of Regents. Archived from the original on July 13, 2008. http://web.archive.org/web/20080713023555/http://www.sdbor.edu/jobopps/locations/locations.cfm. Retrieved April 18, 2010. ^ "About Augustana – City of Sioux Falls". Augustana College. http://www.augie.edu/about/sioux-falls. Retrieved December 21, 2008. ^ "Rapid City Rush Hockey". Rapid City Visitors & Convention Bureau. http://vacations.visitrapidcity.inntopia.travel/aspnet/2.0/packageselect07.aspx?salesid=650555&packageid=3338&returnxml=0. Retrieved December 21, 2008. ^ "SDSU approved for Division I membership". South Dakota State University. http://www.gojacks.com/ViewArticle.dbml?&DB_OEM_ID=15000&ATCLID=1498295&SPID=7147&SPSID=64578. Retrieved December 21, 2008. ^ "South Dakota leaves North Central Conference for D-I". ESPN. http://sports.espn.go.com/ncaa/news/story?id=2680524. Retrieved December 21, 2008. ^ Sun, Rebecca. Catching up with Billy Mills  Sports Illustrated. July 28, 2008. ^ "Oakland Athletics – Mark Ellis". ESPN. http://sports.espn.go.com/mlb/players/profile?playerId=5086. Retrieved January 29, 2010. ^ "Profile – Becky Hammon". Yahoo! Sports. http://sports.yahoo.com/wnba/players/289. Retrieved January 29, 2010. ^ "Adam Vinatieri". Indianapolis Colts. http://www.colts.com/sub.cfm?page=bio&player_id=380. Retrieved September 2, 2009. ^ "Adam Vinatieri". New England Patriots. http://www.patriots.com/team/index.cfm?ac=playerbio&bio=447. Retrieved December 21, 2008. ^ "Economic Importance of Fishing". South Dakota Department of Game, Fish, and Parks. http://www.sdgfp.info/Wildlife/Economics/Fishingeconomics.htm. Retrieved December 21, 2008. ^ "Economic Importance of Hunting". South Dakota Department of Game, Fish, and Parks. http://www.sdgfp.info/Wildlife/Economics/Huntingeconomics.htm. Retrieved December 21, 2008. ^ "How many people hunt and fish in South Dakota?". South Dakota Department of Game, Fish, and Parks. http://www.sdgfp.info/Wildlife/Economics/Howmanyhuntandfish.htm. Retrieved December 21, 2008. ^ "Fishing in South Dakota (Northeastern)". South Dakota Office of Tourism. http://www.travelsd.com/Outdoors/Fishing/Northeast-Region. Retrieved January 29, 2010. ^ a b "Fishing in South Dakota (Central)". South Dakota Office of Tourism. http://www.travelsd.com/Outdoors/Fishing/Central-Region. Retrieved January 29, 2010. ^ "Fishing in South Dakota (Western)". South Dakota Office of Tourism. http://www.travelsd.com/Outdoors/Fishing/Western-Region. Retrieved January 29, 2010. ^ "George S. Mickelson Trail Guide". South Dakota Department of Game, Fish and Parks. http://www.sdgfp.info/parks/regions/NorthernHills/MickelsonTrail/GSMTrailGuide.pdf. Retrieved January 29, 2010. ^ "Course Info". Mount Rushmore Marathon. http://www.mtrushmoremarathon.com/new/Route/. Retrieved December 21, 2008. ^ "Tour de Kota". Tour de Kota. http://www.tourdekota.com/. Retrieved June 25, 2009. ^ "Signs and Symbols of South Dakota". State of South Dakota. http://www.state.sd.us/state/sdsym.htm. Retrieved January 3, 2008. Hasselstrom, Linda M. (1994). Roadside History of South Dakota. Missoula, MT: Mountain Press Publishing Company. ISBN 0878422625. Schell, Herbert S. (2004). History of South Dakota. Pierre, SD: South Dakota State Historical Society Press. ISBN 0971517134. Thompson, Harry F. (ed.) (2009). A New South Dakota History (Second ed.). Sioux Falls, SD: Center for Western Studies – Augustana College. ISBN 978-0-931170-00-3. South Dakota State Databases – Annotated list of searchable databases produced by South Dakota state agencies and compiled by the Government Documents Roundtable of the American Library Association. This page uses content from the English language Wikipedia. The original content was at South Dakota. The list of authors can be seen in the page history. As with this Familypedia wiki, the content of Wikipedia is available under the Creative Commons License.